Down Today | GTA 5 Online server problems? GTA 5 Online server problems? 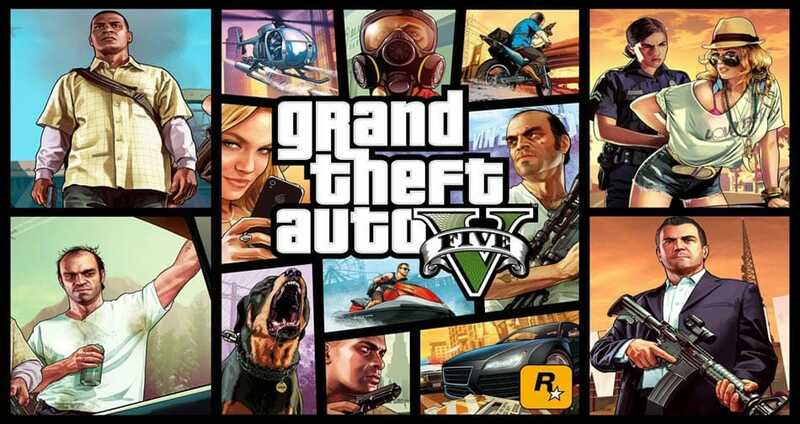 The fifth and best Grand Theft Auto game released in September 2013 and brings a number of new features, which include the ability to choose between three playable characters. The singer player game receives regular patches to help fix bugs and bring new features, which also deliver enhancements for GTA Online. If the Grand Theft Auto Online servers are down right now then you will see reports lower down on this page, but also feel free to report your location and what time GTA Online went down? Fans know that this game features both an online and offline game, which are pretty much independent of each other. Online play will be subject to server performance and also the Rockstar website can run into issues sometimes with timeout messages. If Grand Theft Auto 5 is down today, then reports will be found below. did you try to run gta cracked??? that aint working man just buy it. Hi. I have downloaded. GTA 5 iso file of 59 gb. But gta setup launcher file is missing. Its size is 891 kb. And without that file i cant run setup . how can i get that file. The rockstar game services are unavalable right now????? Ps4. Having a problem with gta v online the supermarket is empty there’s no shop owner every time I enter either one of them has anyone got this problem? PSN is down again so not able to play GTA 5 online, if I put like a dollar for each time the servers go down I would be well off. Blooming great, I get the only day of the next month to play this game and then PSN decides to have an outage. Useless. 5 days in a row with problems. Why do we pay for a service that is below standard? Servers not available. Servers not available. Funny how our bank accounts are always available though right? The Festive free to access content and update is now available! 13/12/16 cant log in on gta5 online, do i need to worry? today 08/12 2016 cannot login any more rockstar ?? with pc account ?? gta 5 down . Hackers and modders now kick you offline individually for 3 weeks at a time they shouldnt have that kind of power over a game its ridiculous and when they blow everyone up in a lobby even people who werent bothering them and not to mention the invinsible ones its stupid and now they have access to the rockstar servers seriously rockstar are you a gaming company or a bunch of pre-schoolers they are making you look ridiculous to your fans ive been with you from the begining loving all your games especially the gta and read dead redemption series please dont let them ruin gta like they did red dead. I cant sign in to gta5 online says i need to sign in even tho im already signed to psn! Heeeeeeeelp! I swear to god someone needs to fix this shiz , I want want 250k and it to work. I asked you guys if it worked , I don’t want to have to go in the settings , I want it to just work , js that so hard. If this stuff doesn’t work in an hour I breaking the disc in half. I can’t get on gta online on Xbox one it says rockstar game services not available right now but all my friends are playing online I’ve checked my internet and kept retrying still dames the same??? My game has been stuck on the loading screen while trying to join online. There is no messages saying online services are down or anything. Problem has been happening for 2 weeks. I’m on GTA 5 on Xbox One and it’s saying check network connection even doe I’m in a party? My GTA since last night has been saying the services are unavailable right now. Could you explain why? When did this issue started to appear or began? Also, what platform or console are you playing on? Any issues please report to this comment and we will try and get one and one help to assist you with your issue, Thanks! Are you still experiencing this issue? If so what platform do you currently use? They will have it working once the issue is fixed.. Same here can’t get online! I keep trying over 100,000 time!! What going on? I want 20% refund!!!!! Any clue when will the servers be online ? Have you got age restrictions on your console? That could be a reason. how long do we have to wait!?!?!?!?! great. i didnt play the game yesterday, and now that i want to play it, its down. great. How long servers will be closed, anyone know? Files required to play GTA Online could not be downloaded from the Rockstar Games Service. It’s down for everyone, don’t worry. It seems all GTA V services are down, i went to play online and nothing. today im having problems getting online with gta v xbox one, anyone else having this issue? are the servers still down for you? I’ve been trying to play gta 5 online it says I don’t have the correct permissions What do I do? I’ve tried to play the GTA Online but it says I must update the application first.. But when I do it keeps having errors when I was in the middle of downloading the update file.. What should I do? I am having the same problem on my Xbox One too, so must be a problem somewhere. I have the Xbox One and each time i get to play online people seem to leave the session, most of the time this week I have been unable to play online at all.